Then I heard it. I'd been on my mission for a long time, maybe twenty two months, when one P-day, in the course of whatever conversation we were having, an elder in my district mentioned that he had a copy of the infamous Rock 'N' Roll Fireside. Well, that was that; regardless of our other plans we simply had to listen to it now. We did. The stories weren't exaggerated. Demons. Witchcraft. Devil worship. Sorcery. Dungeons & Dragons. Ouija boards. And, yes, rock 'n' roll. I was now an initiate: no longer a second-hand repeater of myth, I was a witness to the madness. The legend was real; I knew it for myself! Unfortunately, my time was short and I had few chances to spread the word. I don't know how many times the missionary who owned the recording shared it after that, or whether stories of the Rock 'N' Roll Fireside persisted. Maybe elders there speak of it in hushed tones today, maybe it's been forgotten. Missions are strange like that, with missionaries arriving, leaving, and moving around so quickly that the mission's reality seems to exist outside of history in a kind of premodern mythological state. Besides the 18-24 months a missionary serves, his or her main connection with the mission's past is stories told by older missionaries, which themselves only go back a year or two before becoming stories those missionaries learned from even older missionaries, and so it goes. Facts get blurred quickly. Missionaries tell competing, sometimes conflicting stories. Institutional memory fades quickly. Members can sometimes fill in gaps, but they also exist too far outside the world of the mission to contribute to its past meaningfully. Thus, history easily blends with legend and myth, and it's impossible to guess how long any particular legend will survive. Still, the missionaries whose time on the mission overlapped with mine still know the legends of our day. Some were fellow Rock 'N' Roll Fireside initiates. On a whim, I recently set out out to find the fireside again. Luckily, the world of Facebook allows for much quicker investigation than the old missionary communication system of zone or district meeting gossip (or, if you were really savvy, schmoozing the office missionaries). Although my inquiries initially seemed to prove that the fireside is as chimeral today as it was on the mission, I finally found it after messaging twenty or thirty people. If there's a word that combines "awesome" and "absolutely bonkers," the fireside is just as that as I remembered. Having rediscovered a small part of my mission lore, I present it below for public consumption. It's an incomplete recording that cuts out in a few places, and I have no idea who the speaker is except that he refers to himself as Brother Bryson. Mission legend states that this individual got himself excommunicated, but I have no way of verifying that. I don't know when or where the fireside was given, although I'd guess it's from some time in the mid 80s. If you happen to know more, share in the comments. 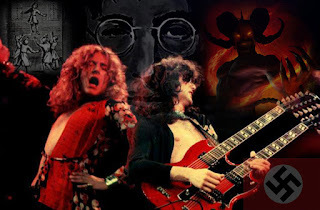 Now, prepare to be stunned (or at least incredibly bemused) to learn about the great sorcerers John Lennon and Adolph Hitler, about the hidden satanic messages embedded in Stairway to Heaven and Hotel California, about the evils of spellcasting in D&D books (did you know that they contain the same spells Pharaoh's priests used? ), about the mass suicides of Helter Skelter, and about the importance of not taking advice from floating tables. Sadly, the recording abruptly ends just as it starts discussing the dangers of bisexuality and Boy George, but maybe the ending is out there somewhere, part of another mission's lore. At least listen to part 2 to fully enjoy the insanity. Update: The individual responsible for this recording has also been discussed here and here; see the comments section on those posts for more. That would be Lynn Bryson of "Winning the Testimony War" fame. I'm not sure of his final church status, but there was some form of church disciplinary action taken at some point. He died a few years ago in Alabama. At one point he had a whole series of tapes. I've been trying to find them, so thanks for posting this! That is excellent information, and a good launching point for further investigation. Thanks. And then wrote a book about it! Famous LDS Fireside Talk Given By Lynn Bryson entitled: "The Occult & Rock N Roll"
Then you so much for your link! I'm going to check​ it out! If you have any more would you please contact me directly? I'm looking to collect everything in one place for my family. I'm his youngest daughter. Thanks so much again! I served a mini mission in 1984 when I heard him. He did a fireside at our stake the next year, but I was unable to attend as I was away at college. These tapes are real! According to the Social Security Death Index, Lynn A. Bryson died on 26 Aug 2005, he was living in Birmingham, AL at the time. A cousin of mine knew the family down there. Last I heard his wife was still living in Alabama. It's crazy I never heard of this guy. I served in Alabama from '06-'08. I guess I'm gonna have to give these tapes a listen. Have you listened to them yet? Nothing much to add except to say that there is a small academic literature on missionary folklore. William A. Wilson's article in 'Contemporary Mormonism: Social science perspectives' is a good example. I love this. According to my brother, a stake president in Boise once gave a very similar discourse. Alas, I was too young to have heard it. Would love to get a hold of the full 16 cassettes in his tape series! Fond memories from the 1980s! What I wouldn't do to listen to them all again! Thanks and welcome! If the MP3s don't play when clicking on them try doing a right-click > Save As to download the MP3s in whatever browser you prefer, then open them from iTunes or Windows Media Player. Thanks Casey, I was able to listen from another device to part 2. Some outrageous stuff there! Makes me wish I was born a decade earlier, just for the omg factor. Must look much more quaint from our perspective though, with these songs being so dated. Wish he was around to give an opinion on today's music! I just listened to both parts. This is a different recording than the one I heard on my mission circa 2002. Definitely the same guy though. In the one I heard he had a deeper voice so he was probably older than he was here. He also played more songs and his presentation was more polished and entertaining, and to be frank, a lot less bonkers. I have looked for it on and off since then, and never had much success. It's kind of nuts that people have been looking for it since about 2005 according to some of those links and this is the first time someone has actually found a recording. Good work and thanks for passing that along! I assume that those posting here are members of the Church of Jesus Christ of Latter-day Saints. Not much of what he says (of course there are many personal views of Bryson's that he expresses) is not directly backed up by authoritative Church sources. Many things he presents are based on a very specific set of vocabulary. Keeping that in mind is important. Not to mention that much of his presentation is intended to be humorous -- Not false, but presented in a zany format. It's fine to be ignorant of lesser known truths but don't scoff at them. This may not be the blog for you, Ender. Scoffing at silliness is our specialty, regardless of the perceived authoritativeness of said silliness. So, how can I use the D&D manual to turn staves into snakes and impress my friends? Where is the authoritative Church source on this? I had the privilege as a teenager in the early '80s of seeing Lynn Bryson at one of his firesides. Our stake invited him to speak in Austin, Texas. I remember it being really entertaining. It was pretty powerful stuff, especially when he actually played a popular song backwards and you could hear the words "Smoke Marijuana" (after he told us that's what it said, of course). Now that I think back on it, it sounds like a bunch of hoodoo, but as a teenager, it was pretty cool stuff. Haha, man I remember hearing it my first time. I'll admit, I got caught up in the moment. It didn't take long for the shock to wear off and reality to set in, but *while* I was listening, this guy had me sold. Except for MTG, my brain found a number of convenient loopholes even as I listening. I think it would take an angelic vision to pull me away from that. I remember hearing this guy on my mission. He freaked me the heck out! I was really taken by his "arguments." I remember vowing to go home and purge my music collection. I now have a Ph.D. and teach students critical thinking. I find him to be laughable--indeed, embarrassing. I doubt Church leaders today would tolerate a fireside like this--at least, I hope not. I can only imagine that back in the 1970s and early '80s many local Church leaders knew zilch about rock music and deferred to Lynn Bryson's supposed expertise. Today we're all too experienced with media. P.S. I will say that after my mission (1990) I found two of his tapes for sale at The Book Table in Logan, Utah. I think they were called "Winning the Testimony War." The first was similar to the one linked here. The second contained more of the same, although it didn't have the power of his original talk. Anonymous said: "I doubt Church leaders today would tolerate a fireside like this--at least, I hope not." This is why everything is now correlated within the LDS church. You cannot so much as breathe without some kind of priesthood approval based on some policy in a handbook cross-referenced with the most current memo from SLC. Back in the day, we had special interest groups, i.e. married couples or singles, meeting regularly to talk about church stuff. Got banned. We had awesome speakers from other stakes come visit ours to present cool stuff about nuanced church history. Banned. Only RR's now allowed to stake-hop and offer talks. Rumors of this talk in particular spread like wildfire where I lived. You are correct, it was spoken of in hushed tones. The nerd in me had to find out for myself and so I back masked my own cassette tapes (remember those?). Was disappointed in "Number 9" and "Smoke Marijuana". Even back then it sounded like a stretch. Rock N Roll was exciting and dangerous enough if heard normally, the message was overtly rebellious; there was no need to back mask, come on! Yea, Lynn came to our Church here in Northern California. It had to be around 1985. I was in High School at the time. His talk was entertaining for sure....and cooky. How did I miss hearing this guy? Thanks for filling me in. lol - I've heard speakers with the same essential message, but not on this level of creepiness. Wow, nice to find this post. I was at a youth conference in Provo sometime in the early 80's and saw this guy speak (perform) exactly what you describe. It was in a darkened auditorium on the BYU campus. I can't remember a whole lot of the details but there was definately some kind of "spirit" afoot. Having now had some life wisdom, I would personally attribute this presentation from the darkside. Everyone afterwards was very disturbed. Scared to faith. The christian rock band Petra recorded a song about such things... Witch Hunt from the album Beat the System. I have tapes #10 and #16 of Lynn Bryson's 16 cassette collection talking specifically on the occult and rock & roll. They have a lot more insight on Bryson's take on astral projection, how the Billboard Magazine charts are phony and manipulated, backmasking featuring songs by Queen, Styxx, Pink Floyd, Led Zeppelin, The Beatles and others. He also goes in depth depicting John Lennon and Yoko Ono as sorcerers as well as going into detail about demons with their respective names. Fascinating stuff. He also warned the youth (tapes being recorded in 1982) about not watching the Exorcist and God Makers. I don't know when and where you served your mission but during my time serving, the Lynn Bryson tape-craze was partly created by those I showed the tapes to. I had copies of the originals that another missionary got in the mail from his parents very near the end of his time as an elder. He only made two copies and mine were the ones being passed around. My legacy I suppose. Recently returned missionary from FL/GA and this talk and its lore lives on. Even sparked very heated debates in my mission. I have the whole set of all 16 cassette tapes in storage. When I have time I'll dig through and find them and rip them to mp3. I am his youngest daughter and have been searching for the whole set for years,since he gave them all away. Could you please contact me or send them to me directly? I have never heard the set in it's entirety and would absolutely love to hear it all for the first time! Email me at Lindsayloo01 at Gmail dot com. I would so appreciate it!!! This may be lore to you...but this was my life growing up. 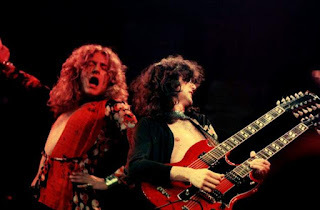 It was embedded into Mormon youth culture that Led Zeppelin and Judas Priest and AC/DC and a whole host of other nasties are intent on getting as many young men and young women into bed with each other as is possible through their driving 4/4 rock beat. I met him in 1984, in hickory NC. Good man. My mother bought 4 tapes. I had them up until the late 90's. I miss the music tape the most. "Good morning mr.kimble".ive been looking for those tapes. I have two of them on cd. Looking for the rest. I talked to his daughter. But the family wants nothing to do with his legacy. Did you guys know he survived a plain crash? I'm not sure which daughter you spoke to or who it was because I can assure you we care about his legacy. I am his youngest daughter and would love to compile all his work in one place. My dad was a very genuine, caring man indeed and wanted nothing more than to serve the he Lord with his talents the best he knew how. Please contact me if you have any recordings to share as I have next to nothing. He gave away all that he had and other copies were damaged in a basement flood. Yeah my mom was a big fan of Lynn Bryson I attended several of his concerts with my mom as a young child I met the myth the legend and I even shook his hand several times. I can say is MAN did that guy give me the creeps and his concerts were so buzzard and creepy it made me feel horrible attendimg them.Thinking about gives me the creeps. Ironically I belive he ended up become exactly what he taught to fear a man that exercised priest craft building him self up as some one important. I'm sorry you had this experience as a child but my father was a very good, humble man who loved the Lord. Your last statement could not be further from the truth. I attended one of his firesides in the Phoenix West Stake about 1971 or 1972. Yes, there were some warnings about playing with Ouija boards by local bishops. The boards were a popular fad at the time, one of my friends had one. I never thought much of the occult then, seemed a lot of nonsense to me. The fireside did talk about belief in God and I suppose some warnings were given that were lost on me as I had little use for conspiracies even then. Lynn and the band played some silly songs, one was "BYU Boy Missionary". My brother pushed me out in the isle when Bryson asked, as he usually did, for someone to come up and play the bongos. I was terrible of course but got attention from some girls afterwards, so, good. I have a couple of signed records from that event still. Also later in the evening a group,Tripschord Music Box, played "Sunday the Third" and I still have that band signed 45 also. That song would be classified more as Hard Rock. There was a lot of talk about reverse or hidden messages in rock songs but I didn't care. I was more concerned about subliminal messages being part of movies at theaters. There was a some other silly things back then, one was something called the "White Horse Prophecy" There are often things circulating around in any group that turn out to be absurd, even today. We humans are gullible sometimes, me included.